Municipality in the province of Olbia-Tempio, located in the north of Sardinia, near the border with the province of Sassari, the main urban center controls, from its 365 meters, a wide stretch of sea, even though it was built at about 4 km from the coast . The coastline is characterized by alternating white and fine sandy beaches and wild areas made of high, jagged rocks. In the nearby, there are places of great tourist attraction, such as: Isola Rossa and Costa Paradiso. Vignola is a district located closer to the coast, at north-east from Trinità, in a superb environment where agriculture and animal breeding are strongly practiced. In addition to these traditional activities and thanks to the presence of fine sand beach coves, the local economy has developed thanks to tourism. In the surroundings of Trinità D'Agultu there are numerous examples of nuraghi and domus de Janas. The colonization by the Romans is evidenced by several sections of roads in the area. The present center, relatively new, was founded only in the second half of the XIX century. The town originally grew, very slowly, around an old rural church and the first inhabitants were mostly shepherds. 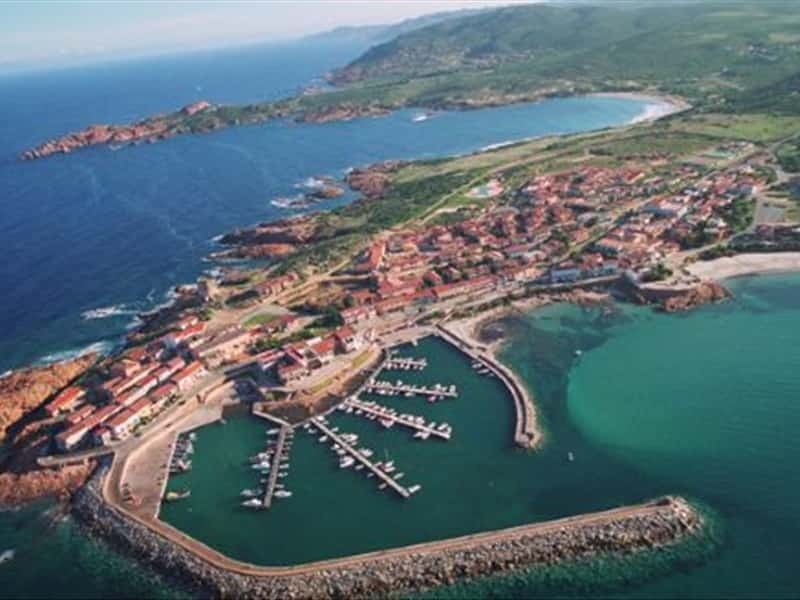 During the Middle Ages, the town was assigned to the Giudicato of Gallura, while later the area was conquered by the Aragonese. This town web page has been visited 29,197 times.